Being on the road for 24 years with Vans Warped Tour, Kevin Lyman has seen a lot of fans. And lately, their hair is getting gray. 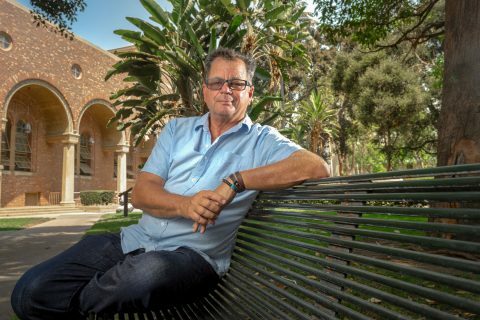 But with his new gig as an associate professor of practice at the USC Thornton School of Music, Lyman hopes he can help the next generation of music industry pros to get millennials and Generation Z out to shows. “If we don’t figure out how to get them out to live music, we’re going to be facing a crisis,” Lyman said. Both generations are changing the ways they consume music. Millennials likely grew up going to shows, seeing promotions in alternative weeklies or hearing about concerts on the car radio. Now they’re overwhelmed by content. Gen Z has less of an interest in going out to concerts, he said. His friends tell him their teens like to stay home and watch Netflix. The same way Spotify or YouTube turned the music industry on its head, Lyman sees technology being pivotal in responding to these changes — whether it’s curating options for you or streaming a live show in your living room. “We have to figure out how to blend that into a career,” he said. 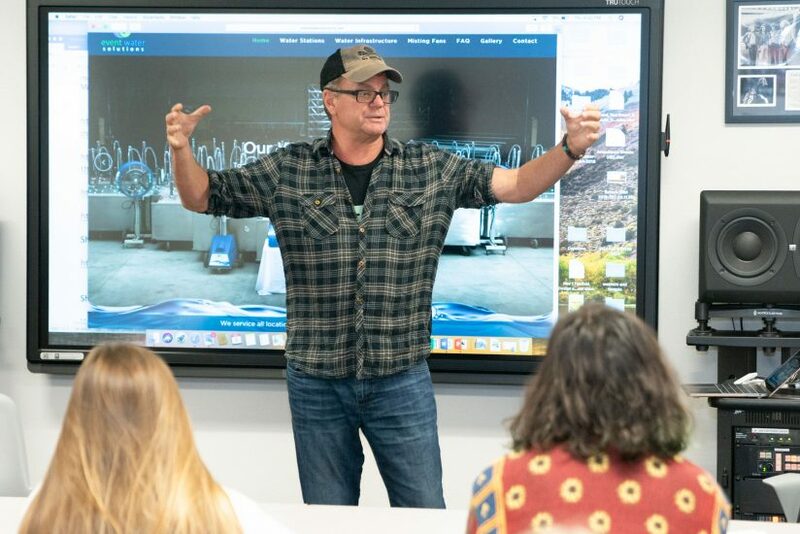 Lyman teaches courses on festival production and grassroots marketing. 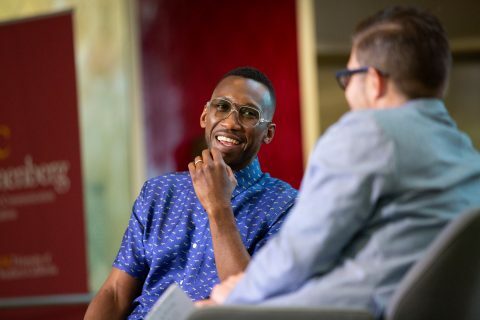 He looks at how others have transformed the industry for a class on music catalogs, entrepreneurs and moguls. 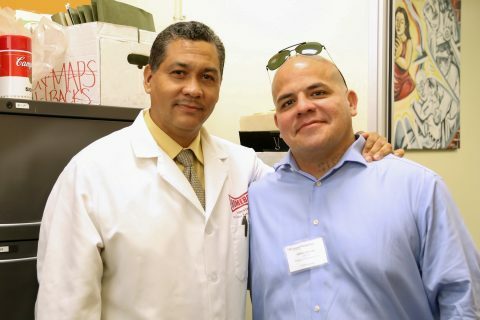 Teaching seemed like a natural progression for Lyman, who has worked with USC interns over the years. While on tour, his role was to mentor and support artists, along with the crew. He always voices appreciation for the latter group — writing roughly 200 personal thank-you notes with bonuses tucked inside at the tour’s end. Although Lyman didn’t go to school to be a music festival producer, it is where he got his start. As a way to raise money for his ski team at Cal Poly Pomona, he threw backyard parties with punk bands. After he graduated, he got a job as a stage manager at Fender’s Ballroom in Long Beach. That gig, and the people he met, opened doors. He also helped out college friends who were producing. Their company Goldenvoice would go on to produce the Coachella music festival. He was putting on shows at The Roxy, the Whisky a Go Go and the Hollywood Palladium for the likes of the Dead Kennedys, Black Flag and Nirvana. He worked as a stage manager on the first Lollapalooza in 1991 and continued to help out in various roles for its first few years. Around that time, he was seeing how skate and music cultures were combining in SoCal, putting on a show where the Red Hot Chili Peppers performed on a skateboard ramp. The X Games were getting started. “I said, ‘We should take this across the country,’” he said. Warped Tour started in 1995, partnering with the skate retailer to become Vans Warped Tour a year later. And that culture was often intertwined on tours, with skate ramps built next to stages for the first 18 years. The largest traveling music festival in the U.S., the Warped Tour was known for pushing many musicians into the mainstream, turning Blink-182, Katy Perry and Fall Out Boy into household names, to name a few. This summer was Lyman’s last of living out of a tour bus bunk bed. It was his last summer of working 16-hour days, traveling to dozens of cities across the country. One of his side passions has been raising awareness about the opioid crisis. He promoted his app FEND (Full Energy Not Drugs) at the last Warped Tour. The app rewards users for learning about the crisis with points that can be cashed in for music-themed prizes like merchandise, music equipment and tickets to events. So far, they’ve signed up 30,000 people, he said. Transitioning to the life of a college professor made him a little uneasy. He remembers meeting with Human Resources for the first time in his life. Another first? Writing a resume. He’s taken to teaching well, inviting students to his Altadena home to work on their capstone in his backyard. They’ve taught him stuff, too, like how to get the hang of the classroom software Blackboard. He plans to keep his foot in the industry, having a hand in a few music festivals, he said. He sees large-scale festivals ebbing and a trend emerging involving smaller gatherings of “like-minded people,” he said. His class materials will reflect what he’s seeing in the real world. 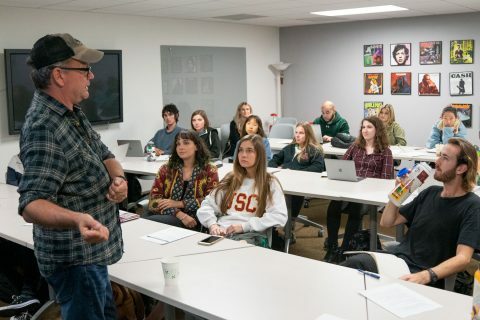 Maybe, with his guidance, USC students can predict the industry’s next move. 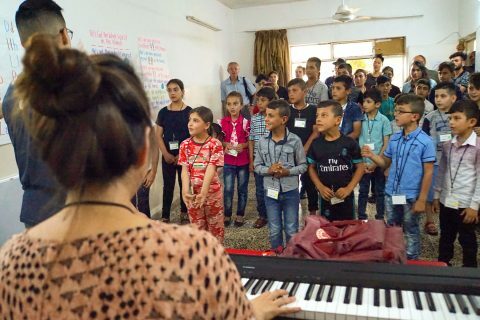 USC Thornton student brings songs into the lives of Kurdish children during a service trip — despite a language barrier. 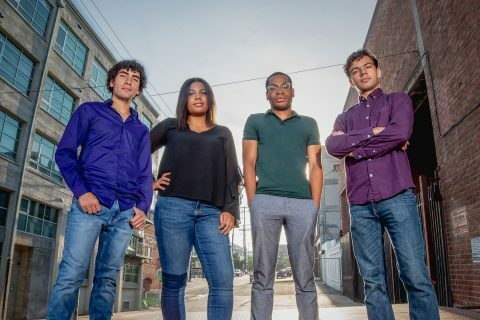 Four up-and-coming classical musicians study at USC, perform with a premier orchestra and mentor diverse members of a local youth orchestra. 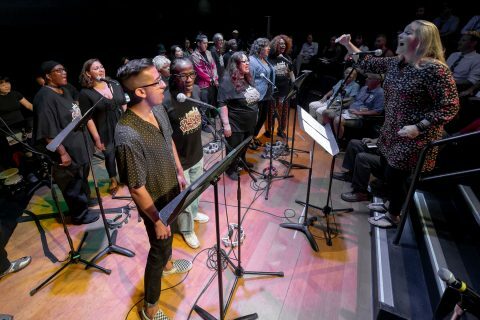 Inaugural event, focusing on homelessness, brings USC musicians together with artists and performers from Skid Row. 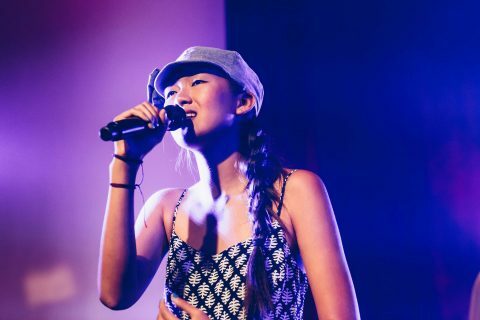 Katherine Ho, a former contestant on The Voice, recorded the demo for hours while her parents coached her Mandarin dialect over the phone.